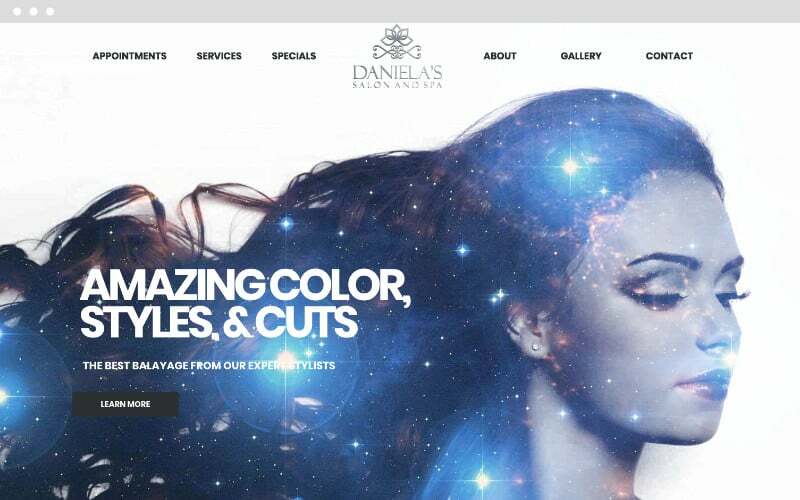 Daniela’s Salon & Spa is a luxury spa and beauty studio located in the heart of Mississauga that provides cutting edge beauty services and highly acclaimed products for the best in hair and skin treatments. 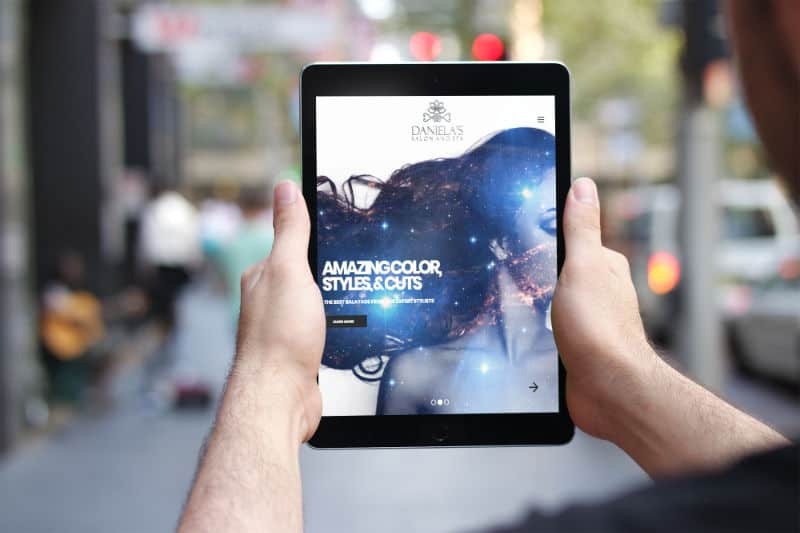 The salon is known for their expertise in beauty, their clean and professional environment, and their dedication to ensuring that each client walks out of their building feeling beautiful and fully satisfied with their experience. Each stylist at Daniela’s is coached on giving the absolute best possible customer service to every woman, man, and child that sits in their chairs. That’s why they’ve been able to amass such a large and loyal following over the years. The team at Daniela’s wanted something modern, cool, clean, and minimal. 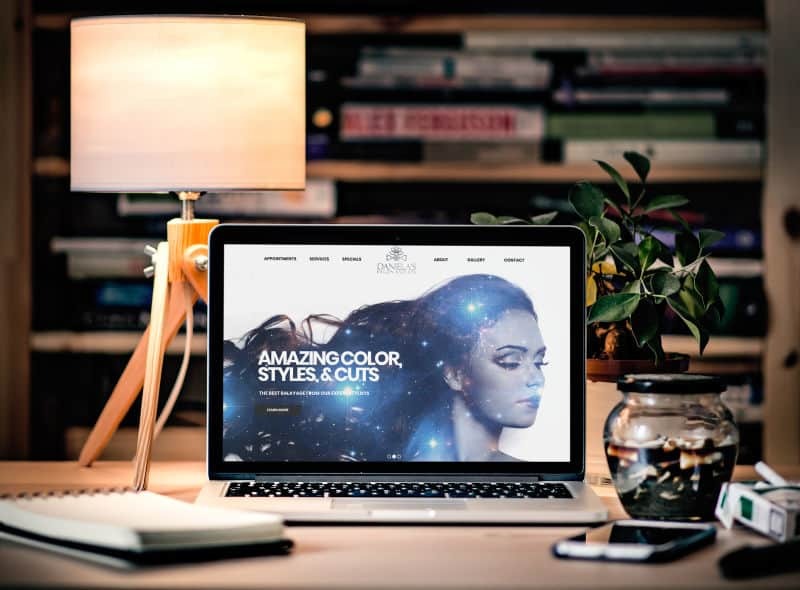 Whey wanted a website that would be “on brand’ with their beauty studio – something to match their logo design and the paint on their walls. 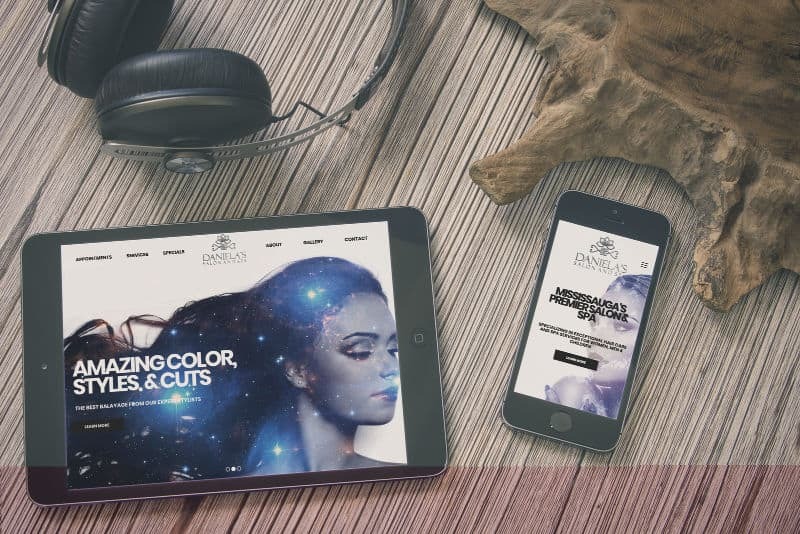 Our goal was to merge the off-line physical location of their salon and spa with a new online presence so that the look, feel and branding would be seamless and consistent. We managed to do this by using almost exclusively black, dark gray, and white as the color scheme throughout the website. The only places where there is color is on the homepage and on the inner page header images. The color on the homepage comes by way of moving video backgrounds that are blended into the black and white images in the slideshow, creating a very unique and visually captivating look.